Tennis elbow – how to prevent and treat it? 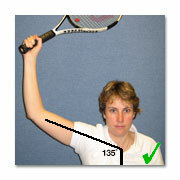 Tennis elbow, or lateral epicondylitis, is probably the most common elbow complaint. It occurs on the lateral side of the elbow joint, the side which is furthest away from the body. The muscles and tendons which are responsible for extending the wrist, opening the hand and turning the palm up are most at risk of this problem. It is commonly associated with playing tennis although other sports such as golf, squash, weightlifting, fly and cast fishing, swimming, track events can also cause a similar injury. This condition is also seen more commonly in certain occupational activities including repetitive computer keyboard and prolonged intensive mouse activity, typing, writing, carpentry, plumbing, meat cutting and repetitive assemble line activity. The cause of the pain is no longer thought to be inflammatory. Treatments which have focused at reducing inflammation have had limited success in treating these chronic, painful conditions arising from overuse of tendons. Tennis elbow is best described as a partially reversible, degenerative, overuse tendinopathy of the common extensor origin of the lateral elbow. Tendinopathy is a result of an imbalance between the protective/regenerative changes within the body and the pathologic responses that result from repetitive tendon overuse. The net result is tendon degeneration, weakness, tearing and chronic pain. Tennis is a sport that comprises of sprinting, lunging, changing direction rapidly, jumping, stopping and starting. The repetitive nature of these movements can unfortunately cause injuries, which can be both very disappointing and frustrating. Most of us don’t have time to exercise daily in order to maintain top fitness and shape, so here are a few practical things to do which don’t take too much time and can prevent disappointing injuries. Rotator cuff tendonotos may result from excessive overhead serving when the arm is held at a 90 degree angle to the shoulder blade. 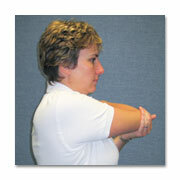 Elevated technique to protect the shoulder and elbow. General and specific exercises are used to prepare the body for exercise. General exercises may include jogging around the tennis court and general stretching for approximately 5-10 minutes before play. Specific exercises may include upper limb, lower limb and back stretches, gently hitting the ball and practising your serve. Increases the blood flow to the muscles. Increases the speed of nerve impulses to the muscles i.e. speeds up your reactions. Decreases connective tissue stiffness in the muscles leading to decreased likelihood of tears and strains. Increases your heart rate, essential for a healthy heart. Increases relaxation and helps you to concentrate. Start with a gentle jog around the tennis court, followed by a running on the spot, gradually increasing the speed to very quick steps. Progress on to skipping sideways touching down at the side lines and finally, short sprints forwards and backwards. Upper body exercises should start with trunk rotations, gently swinging arms forwards and backwards and circular motions. Then progress on to mini tennis play and practising your serve. Joints and muscles can become stiff as a result of injury, overactivity or inactivity. Stretching can be done during the warm up as well as part of the warm down after playing. Stretching maintains the flexibility and length in muscles and is also known to reduce muscle soreness and stiffness after play. 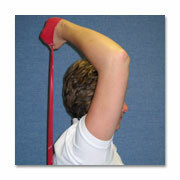 Stretches should include both lower limb and upper limb exercises. Dynamic stretches should always be done as this allows the blood to keep flowing through the muscles as you warm up. Lunges, quadriceps and calf stretches, followed by arm and shoulder stretches. Cooling down is essential to help lower the core body temperature whilst continuing to circulate blood and therefore oxygen to the muscles. Always finish off your game with a gentle jog around the tennis court and stretching of all the main muscle groups. Hold the stretches this time for 20-30 seconds. Tennis players are also exposed to external risk factors that can influence play and cause injury. The impact of the ball hitting the tennis racket produces a significant force, which is transferred to the players’ wrist, arm and shoulder. This is further influenced by how hard the player hits the ball, the incoming ball speed, the quality of the racket and string tension. Increase the size of the racket head – this increases the centre of percussion or the “sweet spot” when hitting the ball. 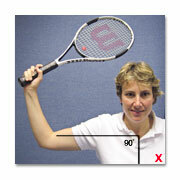 Increase the grip size – this prevents the player from gripping the racket too tightly. Lessons with a coach can be very useful in ironing out any poor habits, enhancing your performance and reducing possible injury. b) reduce the cost involved in the treatment of chronic, longstanding injuries.